Wristwatches are art on the go. I'm not a big museum person, but I like art. While Monets and Manets aren't going to appear outdoors on Sixth Avenue, watches do all the time. 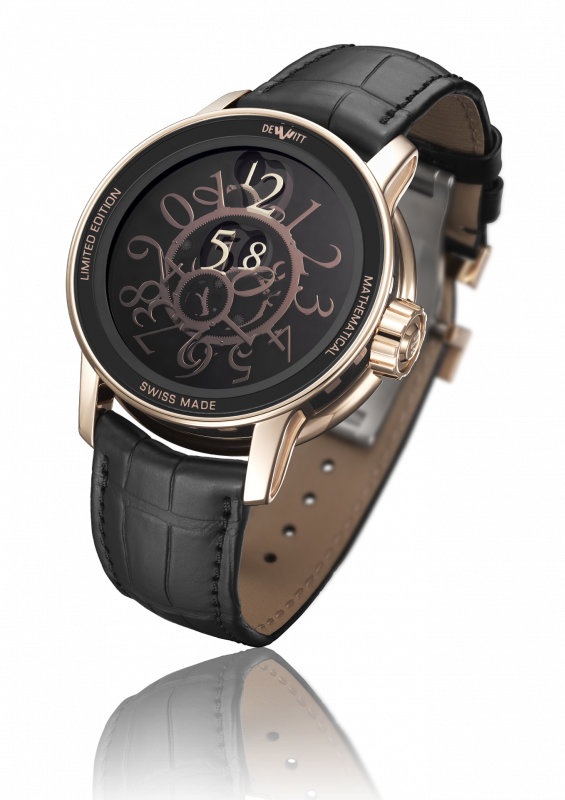 And watches are as superb an art form as any painting, sculpture, or artifact on display in any museum. (Indeed, museums show off watches and other time devices, too.) The design, colors, shapes, materials, engineering, and especially the creativity that goes into watchmaking is extraordinary. But I don't have to tell you that. You know that Rafael Nadal's Richard Mille Tourbillon RM027, weighing only 38 grams and able to withstand 5,000 times the force of gravity—and it is beautiful—is art. You know that a watch like the DeWitt Academia Mathematical, which displays the numbers for time directly, rather than using traditional hands, and yet is a mechanical, analog watch, would give Leonardo da Vinci envy. I like riding subways, walking in malls, strolling along river banks, and visiting zoos, partly because it's good to be outside, but also because going outside means I get to watch spot. It's not easy to spot watches. Many watch wearers are moving targets. They're walking or fiddling with their hands. Many watch wearers hide their watches under coats in the winter or have the watch’s face pointing down while they hold their phones. Many watch wearers are looking around, which makes your staring at their watch a bit too, hmm...awkward. Many watch wearers are in places where you can't easily get close enough to tell if that logo is a Breitling or Longines, or if indeed that watch is real or a replica. A Panerai in the wild. Watch spotting is fun! 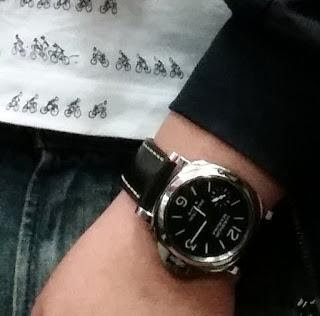 Which brings me to this Panerai Luminor Marina 8-Days watch I spotted on a crowded train out of Hakone, Japan, about 100 kilometers southwest of Tokyo. I'd never seen one before in the wild. Now Panerai happens to be one of the most forged watches, along with Rolex. (I'll be writing about replica watches in a future post.) But I knew that this was a real Panerai by the way that the guy protected it as he exited the train: He made a circle with his pointer finger and thumb, and put that protective donut over the watch's face. Only somebody who owns a real watch does the protective wristwatch walk. I was lucky that the crowded train, with people pressed together, prevented his arm from swaying much, making it possible for me to take some photos. I was lucky, too, that I got on the train early and had a seat, which gave me a horizontal line of sight view of his watch. Often, I'm standing on a train while the watch I'm trying to identify is on somebody who's seated, and that's harder to photograph. Keep your eyes open when you're out and about. Rolex, Grand Seiko, Panerai, Mondaine, Breitling, Omega, Bvlgari—these are some of the watches I've spotted in the wild. 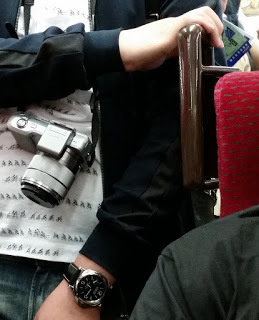 A friend of mine spotted a real rare bird on the Tokyo subway: a Seiko Credor Eichi. 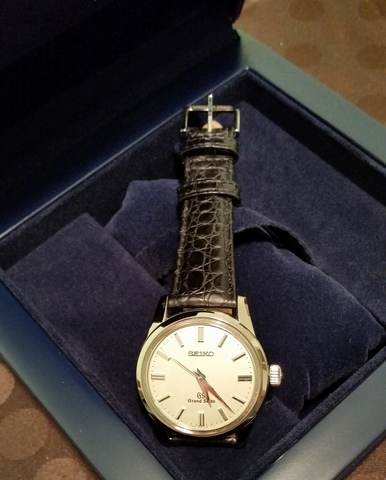 When you spot a rare watch like the $52,000 Credor Eichi it makes your day or week, or maybe even month or year. Do some watch spotting. It's fun. It brightens your day. Watch spotting is a museum coming to you and all around you. But more than that, watch spotting lets you enjoy watches other than the one you happen to have put on today.